I really can’t think of too many things finer than a Stella scooter. Except maybe five. Well, and three Stellas all wearing Cheeky Seats seat covers. 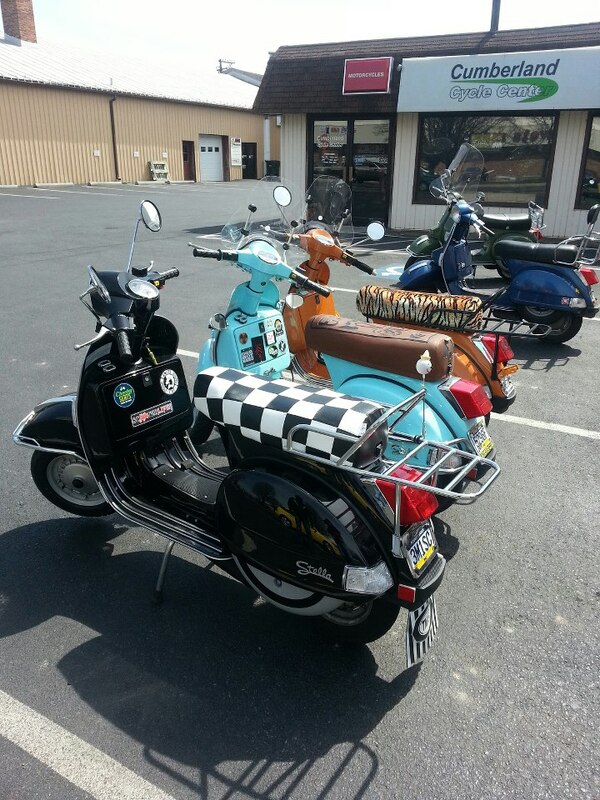 Here we see a couple of our good buddies from the Three Mile Island Scooter Club out for a ride, Svend, Danger, Viney, Batman and Roaring Todd!